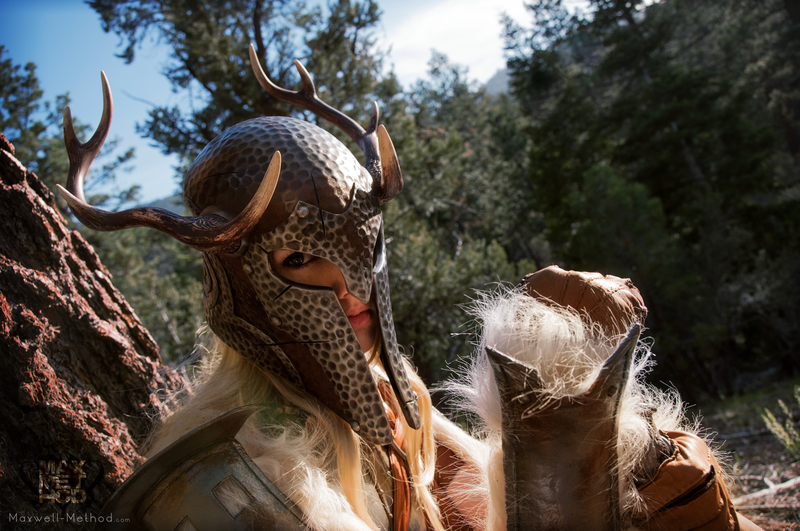 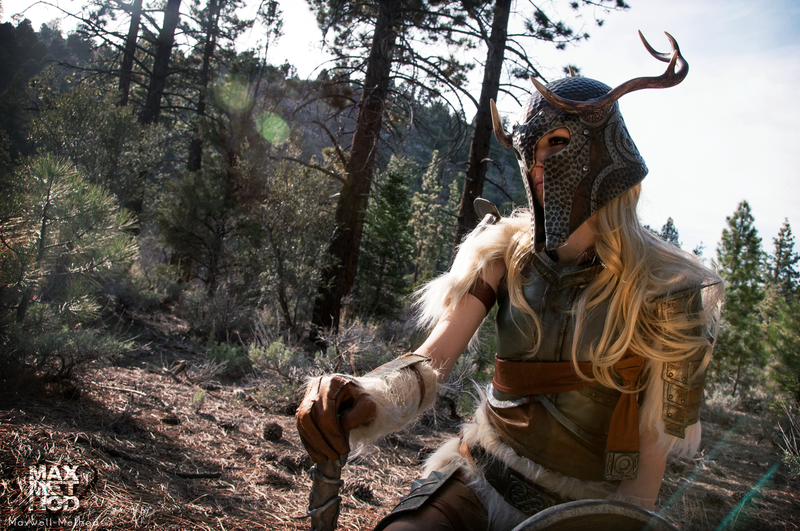 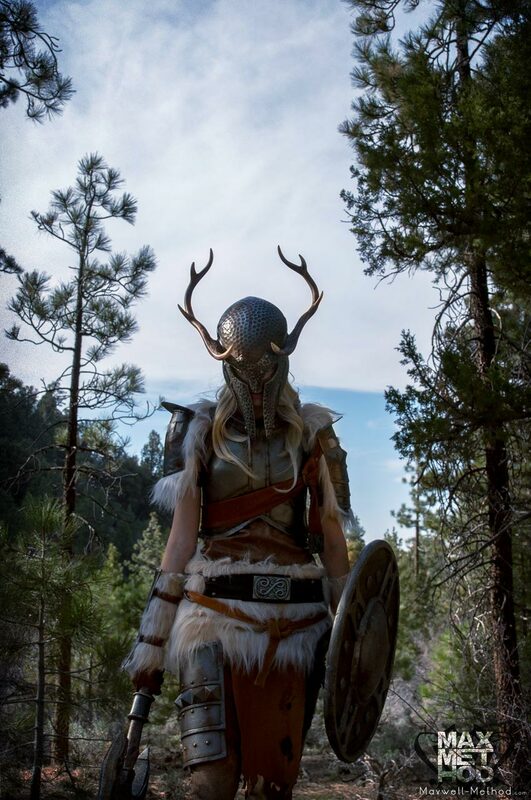 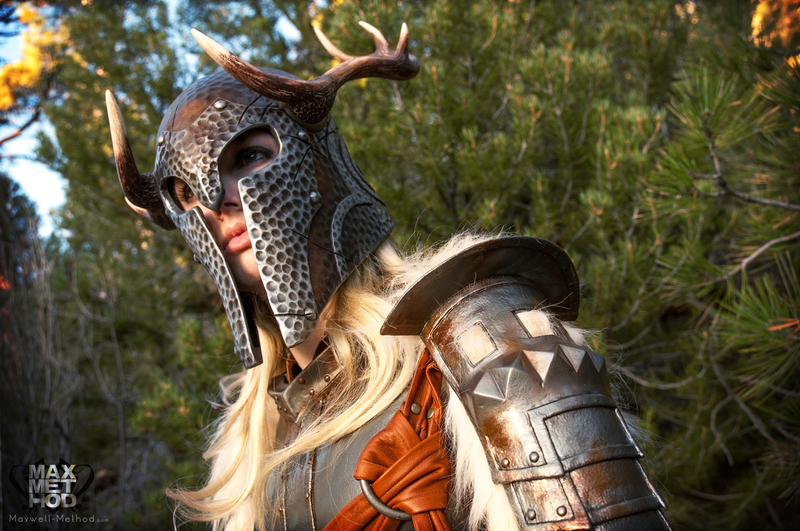 Taken on as a personal project, the Ancient Nord helmet was a welcome deviation from the mechanical angles of guns and the exacting precision of chrome DJ helmets. 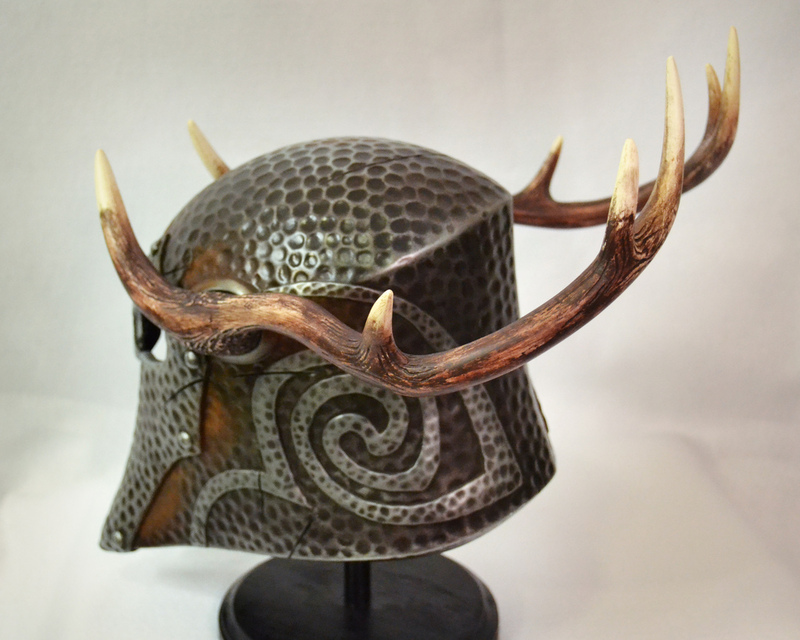 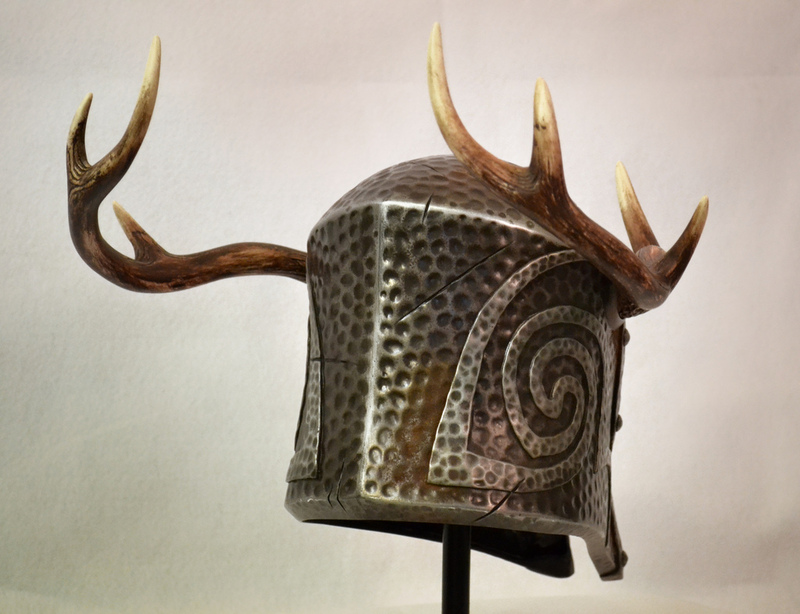 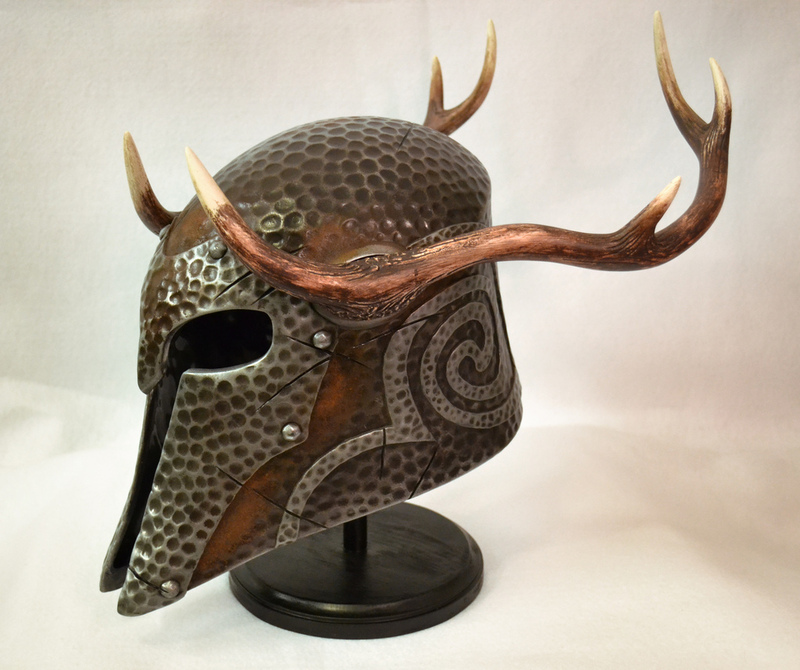 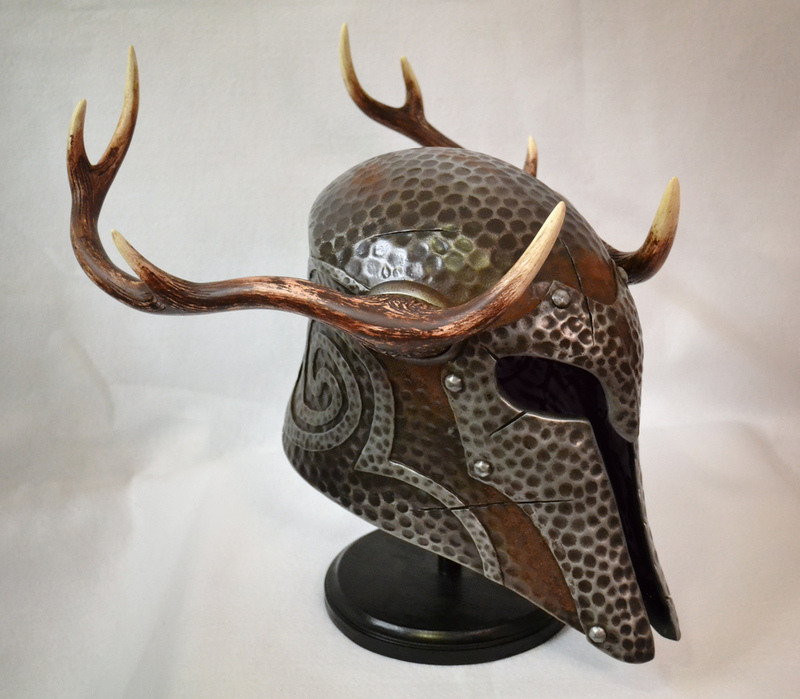 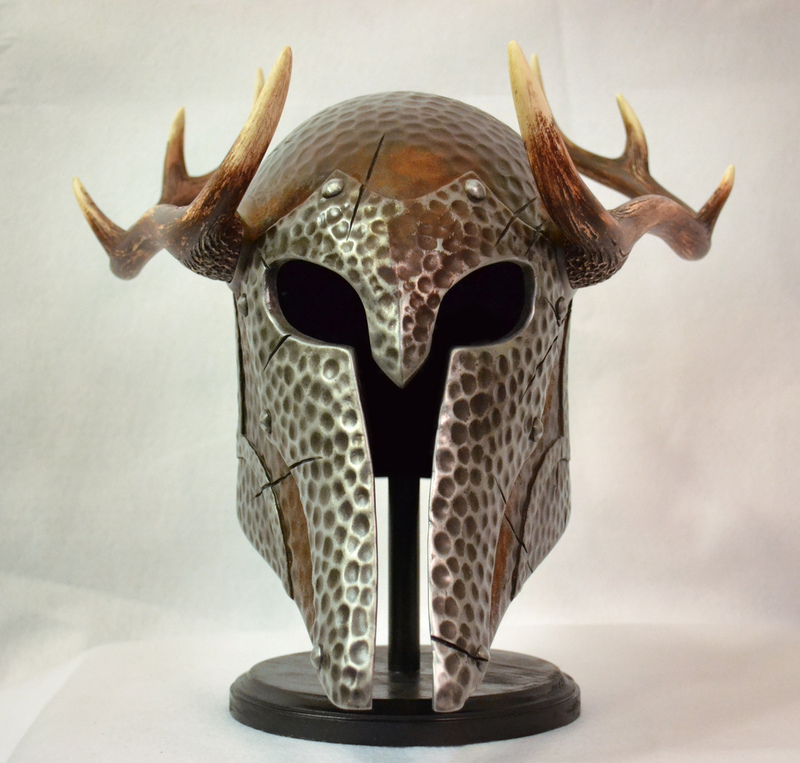 This helmet exists in the game Skyrim as a relic from a time passed, neglected and abandoned in a tomb for a few hundred years. 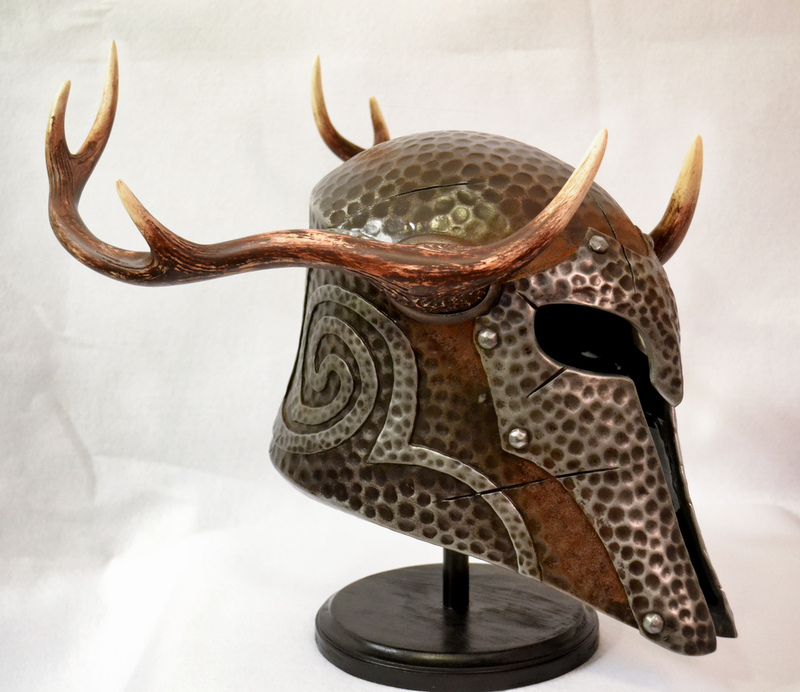 Rust effects were added to the helmet surface using iron powder, and homebrew rust accelerant, giving the surface a gritty and disintegrating feel. 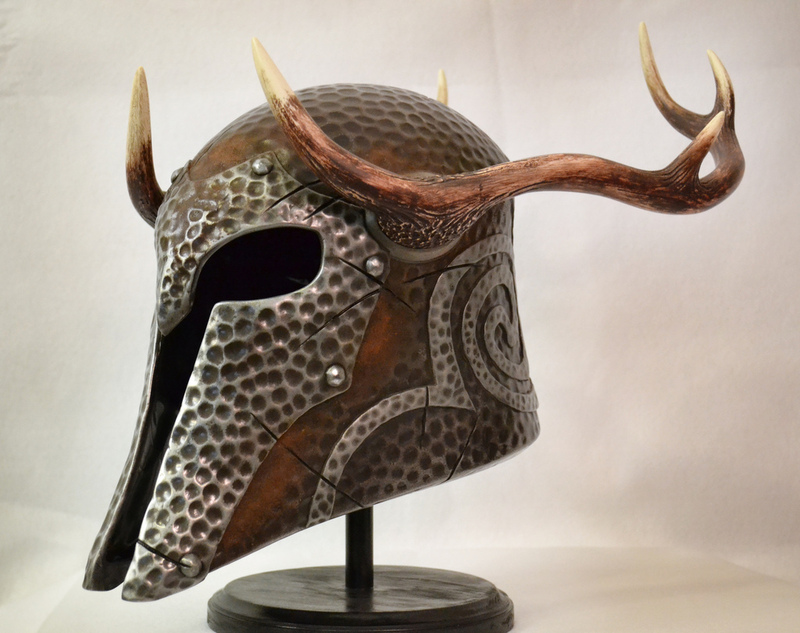 The cleaner silver areas of the helmet are the result of cold casting the piece with aluminum powder and buffing before weathering.